In preparation to the middle distance I had a pretty ordinary start to the day on little sleep due to the heat that makes it difficult to sleep in. When we (the team) arrived I wasn’t very organised for the race, I had to attach a new retractable cord to the bike for my SI stick, which broke in the sprint the day before. I had to pin my number on to my jersey and fix my breaks because one of the pistons was stuck. So I felt rushed and it was fairly hot on the ride out to the start area. 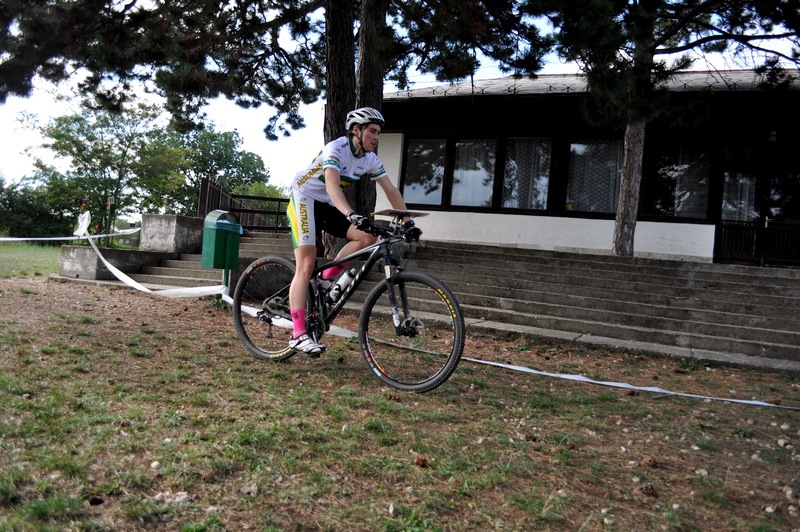 My race was fairly clean compared to my sprint, which was one of my most terrible rides I have ever ridden. I slowed my self down considerably compared to what speed I would usually race off at. I knew the middle distance courses try to trick you with short and medium length legs set on a semi-technical map. I was surprised when I flipped the map to find what looked like a generic forestry road network and didn’t struggle with planning my first half of my course. Feeling as if it was too easy, I made sure I to execute my legs well and roll through the controls fluidly. As I said I didn’t storm off or ride excessively hard even when I had the opportunity to let out the power. I raced all my routes clean and fast, making use of recognising track junction detail as I would ride past intersections on the way to controls. So when I exited a control back out the same way so I could just roll through messy intersections without thinking. Knowing I was having a clean run I felt I was going to ride a competitive time. That is if I kept it clean. That is when I had my first mistake, which held me up by 30 – 40seconds accidently turning too early at a clearing. Realising fairly promptly and corrected my mistake. After collecting the control I know I had to drop the pace as the course was heading into the small village where a lot of time can be lost. I think I would have given up almost a minute in this area for riding slower but in doing so I didn’t make any errors. I accidently stopped much too early on a road just before the control to check my map then realized my brain faded and I had to ride a to the road, but kept my speed tamed knowing the faster you go in these hard areas the bigger loss in time you will make. I executed the last few controls with a steady pace and brought it down the finish chute. It’s not a nice feeling sitting in first place knowing there are a bunch of high classed riders coming in who race MTBO through out the year and get quadruple amount of race time with all the same competition. Alas, four other very skilled and fast riders who raced excellently bested me. The support via the Facebook page has been excellent and keeps the team moral at a high. I felt really proud to represent Australia at the 5th Junior World Championships and being my last year in the Mens 20, I was stoked making it onto the podium in 5th place. Although today was no less hot, we had some welcome respite in the forest where the middle distance race was held. The Australian camp was generally happier with their performances today, but the first mention has to go to Chris who got the first individual podium placing of Australian junior MTBO team when he finished 5th less than 2 minutes down on the winner, Krystof Bogar (CZE). Chris will write a bit of a summery of his race during the rest day tomorrow, but in the meantime I (Mel, again) can report that he had a smooth 43min 22sec ride, and he kept is speed manageably slow through the technical areas. 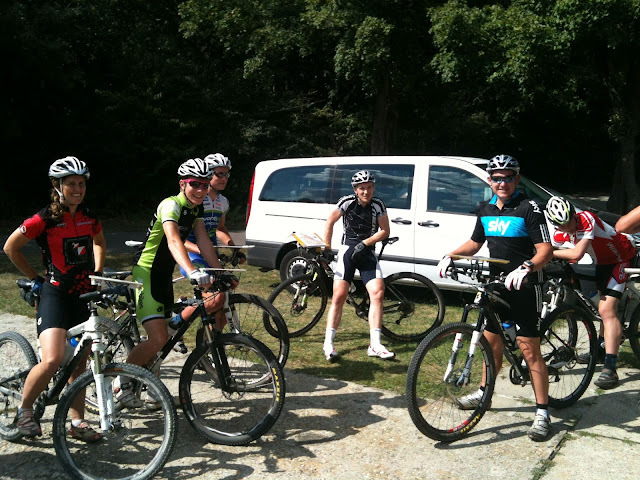 Tom also had a better ride although not without mistakes and finished 13th in 45:06, 4min 41 secs down on the winner. One of the most important things in MTBO is to not "let your legs get in front of your head" and often this means that you need to ride substantially slower than you are capable of so as to ensure that you don't overshoot or take a wrong turn. This is something that Marc has done really well in the last 2 days! Today he had a clean ride, but felt like he was going pretty slowly at times. He ended up in 21st position in a time of 46min 18sec. (Note here that he is a mere 1:12 behind Tom and 8 places back, the juniors are getting very competitive and tight). Heath and Karl ended up in 32nd and 36th, respectively. The Australian senior men suffered from several errors. Steve was the best ranked finishing 68th a tad over 12 minutes back on the winner. Oscar and Ricky finished in 79th and 80th, respectively, within 13 seconds of each other. Finnish rider, Samuli Saarila, regained his world middle distance title in a time of 50:49, nearly a minute clear of Anton Foliforov (RUS). There was a tie for the bronze between Samuel Pökälä (FIN) and Jan Svaboda (CZE), who were both 4 seconds behind Foliforov. The women's podium was an exciting mix of women, some of whom are previous podium placers and others who are more often in the 10th - 20th position. The middle distance champion is Ursina Jäggi of Switzerland who won in 46mins 40secs. Ingrid Stengaard (FIN) got silver, 55secs behind, and Nina Hoffmann (DEN) got bronze. The (orienteering style) podium was rounded out by Ramune Arlauskiene (LTU), Laura Scaravonati (ITA) and Gaelle Barlet (FRA). There was a mere 8 seconds separating 3rd and 6th position!!! I had a much better ride, however made a few errors that cost me 3-4 minutes in total. I ended up in 23rd position in a time of 46:26. In the masters, Carolyn won the W50 by 1min 16sec which she says was mostly down to one particular route choice mid way through the course. We were stoked to be stand to the Australian anthem at the prize giving this evening, even if the flag was an interesting interpretation where the southern cross was standing upright when the flag was hanging vertically. 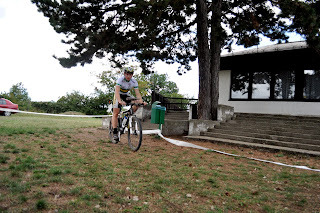 The masters will be doing a (mostly) urban spring tomorrow in the local town of Balatonmadi. Other placings in the masters were: Tamsin Barnes (9th, W40), Peter Cusworth (23rd, M40), Richard Robinson (40th, M50), Bruce Patterson (40th, M40 after some substantial mechanical issues). A special trans-Tasmin mention goes to Rob Garden who won the M60 category. Again photos are being uploaded on Facebook and the official website has some video images from the races. Tomorrow is a rest day and relay is on Friday. The champs will conclude with the long distance final on Saturday. The long qual today was run in a largely open area, and with the temperature rising to about 36 degrees there were many riders who suffered physically and mentally in the heat. The Australian team had mixed results. In the senior classes only Steve and myself (Mel) qualified to the A/final which will be run on Saturday. Steve had was one of the very first starters off this morning. This was potentially a big disadvantage because of the tracks that form quickly through the open grassland areas where we are allowed to cut across. Steve rode safely to secure his place in the A/final. He estimated that he had about 3 minutes worth of errors and gained himself some nice scratches on his legs to prove it. Oscar and Ricky were disappointed to narrowly miss the A/final, when they finished 22nd and 24th respectively. I had a couple of minor errors, but managed to pick some good route choices and rode into 3rd place in my heat. The women's qualification is not as hotly contested as the mens given there are fewer riders, so the pace is a lot more relaxed. However, I was hoping to get a later start and am pleased that the last 3 weeks in Cyprus have reset my understanding of what is hot. The junior men also had a qualifying race today with 2 heats and 30 going through from each heat. 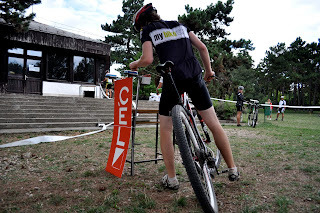 Tom again demonstrated his ability to step up the navigation and speed in the big races and finished 2nd in his heat, not far behind one of the Czech junior men. Chris also qualified comfortably despite a couple of mid race errors, placing 16th in his heat. Marc had some large errors towards the end of the race and so will be starting earlyish on Saturday. Karl felt like he had an "ok" ride, qualifying in 28th position in his heat. Heath has learnt a hard lesson today after he finished, only to find he had mispunched one of the controls in the open area. He is, of course, disappointed and will be double checking all numbers from now on! For those of you who haven't discovered this yet: there is live results and streaming of commentary available via the official website (see link above). There will also be GPS tracking, however this will not go live until 13:00 (9pm AEST) to ensure that competitors can not see the course prior to entering the start quarantine area. An finally, in the news from the masters competition: It gets underway on Wednesday. In the meantime we are all cheering that Carolyn Jackson received her bike today after it went for a journey (to goodness knows were) courtesy of Qatar Airlines. Photos are being put up regularly on Facebook, as are comments throughout the day. After a few more training days, relocation to Veszprem and a model map ride yesterday, the long qualification race is upon us. There will be live tracking of some athletes (no Aussies today) and hopefully live results going up throughout the race. The senior men have 3 heats and the top 20 will go through to the A-final, whilst the senior women and junior men will be racing in 2 heats (top 30 go through). After the relaxing thermal spas yesterday the Australian team was feeling fresher for the days training. On the way to training today the convoy had zero mistakes in navigating to the event venue. The venue was at Iharos (Hosszú-rét) which was the north eastern part of the map of the Hungarian Championships. On arrival we parked in the car park but was quickly told to move along by a Hungarian road worker trying to explain to us that they were re-spraying the parking lines that we had parked into. Todays course was a flatter and shorter, it was on a 1:15000 scale map with 10m contours. The team was practicing their pre-race routine and getting into their race mind set. Ian was sending off the Aussie riders in two minute intervals as one would in a proper race. Having to flip the map over in the last minute and plan as much as we could and race the first one or two controls. This was a perfect event to fine tune anything that anyone felt needed to be practiced more. The course was a fairly fast course and provided a decent amount of tracks and route choice. Unfortunately Chris on the way to his first control had a little bit of a fall. Paying too much attention to his map and the terrain that he didn’t realize his front wheel had dropped into an over grown rut and soon found himself on the ground. Luckily he only received some minor gravel rash and a bruised leg and arm. Everyone in the team has improved each day with their navigation, having been in Hungary for almost a week now we are finding our bearings and looking forward to the world championships that are not too far away. The second day of training was just north of Csillebérci, where the team is staying. Riding as a team, the Aussies shot down the side of the mountain and road across to the map, which was roughly 10km away. The days training was again set up by the event organisers who had provided maps and hung controls out in the forest. They had setup SI units and computer print outs for the riders. The Hungarian organisers had set a Short and a Long course that only varied a few kilometers in length. The terrain consisted of very steep hillsides and a mixture of typical Hungarian forest with open fields. There were small patches of residential housing in the middle of the map and on the out skirts. The scaling of the map was at 1:20 000. It really showed the climb/descents with 5m contour lines bunching up hard against each other in places, although it did make it hard to see some minor tracks at times. On the map there were plenty of minor track networks that kept you on your toes to navigate through. It was tricky to navigate fast and fluidly through sections of these tracks. Everyone had their small moments of being a bit lost finding small connecting tracks that sometimes didn’t exist. After the training everyone was starting to look a bit weary and tired from riding every day since the Hungarian Championships and still had to ride back up the hill to Csillebérci. As it turned out the climb up was very pleasant and fairly quick, and the team could relax and clean up after the days training. The Australian MTBO team started their first day of the five day lead up to the World Mountain Bike Orienteering Championships off by visiting the bike shop. Ian and Tom had to get a spoke replaced in their back wheels after snapping in the Hungarian Middle Distance Championships. The wheels were both repaired but with slightly different spoke replacements. Joining the team today was Melanie Simpson landing in before mid-day and making it to our accommodation safely. Training was at the doorstep of the team’s accommodation being situated right in the middle of the training map. The Hungarian organizer had kindly set a course and placed controls out in the forest for teams to train with. The exercise for the map was to go around with a partner and take two different routes to the control and see who got their first. A few of the riders losing a bit of map contact, due to a lot of unmarked walking tracks and having too much fun descending the side of the mountain. Some had more trouble than others with Marc retiring early on in the course after losing map contact and saving his energy on the hills for more of the training to come. In the evening after dinner the team had a quick debrief of the day. Then finding a different partner the riders had to talk about their route choice and how they rode them. What sort of mapping technicalities they picked up while riding out on the trails. The second day of the Hungarian Championships was a two-man relay consisting of four courses that the riders had to complete between the two of them. Each course was estimated to be roughly 10km long with 25 to 30 minute winning times. The race began with a Le Mans start. Chris reached his bike first and was second out on the course. Ricky and Chris placed best out of the Australians finishing 8th overall. Both Chris and Ricky said they had fairly clean rides. Steve and Oscar placing 11th. Steve had the fastest time on his second course out of everyone, without even winning a single split. Ian and Mr. Arkhipov the Russian placed 12th behind Steve and Oscar. Heath and Karl taking out 15th, both having better and cleaner rides then the previous day. Tom and Mark coming in just behind in 16th spot. Everyone found today much easier with a smaller scale map and having had ridden on the map from the previous day. The course took the riders up into the northern area of the map before turning them back around to take them past the spectator control and out to their short last loop at the bottom of the out of bounds army grounds. A few close calls were to be had on the busy trails and especially with a few riders not sticking to their right hand side of the track. Everyone was pretty relieved not having to race the next day after the short intense races, but are ready and eager to dive into training on the Hungarian maps. The Australian team started their trip with the Hungarian Championships tackling the middle distance race. 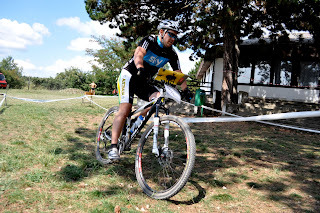 Pannon MTBO event held at Ròka-hegy map. Ròka-hegy provided a gently undulating terrain with patches of pine forest, bare open slopes and a pocket of residential area. The tracks were a mixture of road, dirt fire road, smooth single tracks and loose dusty rocky descents. Being the first time in Hungary and the first race as well the team was wisely advised to take it as a warm up race to learn how Hungary maps are interpreted and mapped. The middle distance had expected winning times of 60min for the juniors and 55min for the seniors. The juniors raced the exact same course as the seniors. Karl Withers was first Australian to start. He had trouble from the get go. Quickly getting disorientated at the start because they hadn’t put out the start triangle until after he started. They also did not brief him about where the start triangle was. After correcting his error he had a fairly clean ride adjusting himself to mapping and terrain and made it around with small errors and hesitations. The second of the Australians to start was Tom Goddard. His race stopping abruptly as he arrived at the first control to punch to find out that his SI had dropped off this bike. Riding back along his route to the start looking for his SI stick he gave up and continued his course. Coming in with a fairly clean ride with only some small errors in the intricate hilly residential area, which tricked up almost everyone. Next off was Heath Jamison. Unfortunately suffering a similar fate as Karl. Getting lost on the way to control number one. Heath was tricked up by the Hungarian mapping. Finding unmapped tracks with questionable track grades, Heath persisted and worked himself into the course. Only to come untangled with the tricky residential area, losing a lot of time and getting disorientated in the single track. Four minutes behind Heath was Chris Firman. Having the fastest time out of the Australian team and placing 2nd in the junior’s class. Getting confused with how some of the junctions were mapped he had frequent hesitations and one questionable route choice. Marc Gluskie was starting 6 minutes behind Chris and had a patchy race. His overall time was not helped by heading to his 9th control instead of his 8th, losing well over 5 minutes. Working out his mistake he corrected to get his race back on track. 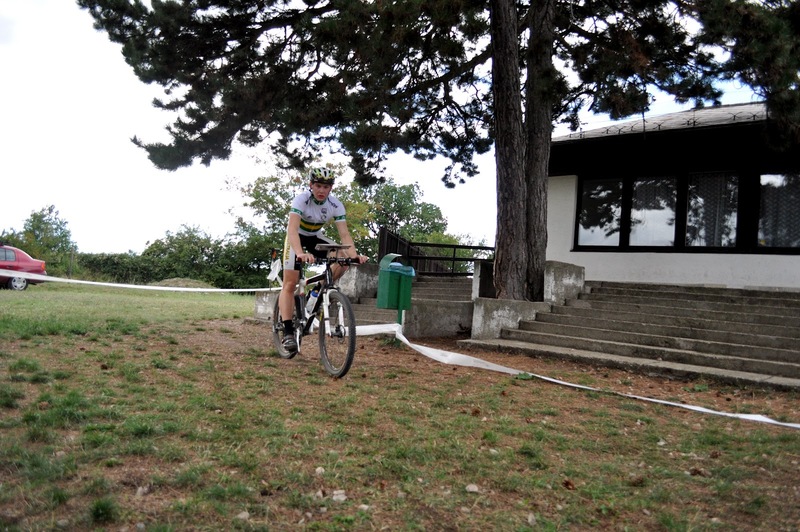 Making it around the middle distance course with some minor errors and adapting himself to the Hungarian terrain. The coach of the Australian team, Ian Dalton had kitted up to keep the juniors on their toes. Cruising straight into the course his race had two big hiccups losing more then 10 minutes two controls. At one stage being lost with Heath on the questionable track grading near the 2nd control. The infamous intricate residential area creating the next 10minute error, after having a clean ride in between his errors. Oscar Phillips just recently moving up to seniors performed well. Cruising around the course with a few hesitations and small errors. Like the rest of the Australian team he was just adapting and getting familiar with Hungary’s maps and terrain. The very last to of the Australian team start was Ricky Thackray. Taking easy being his first international race he was struggling around the course with-out his trusty compass. Having difficulties orientating himself and getting in tune with the tracks he had some unforced errors. Finishing and requesting a compass ASAP. Welcome to the new look Australian MTBO team blog -- We'll be posting stories, photos and maps throughout the training camp and championships. You can read a little bit about the team using the "Team profiles" link above and there is also a link to the official website of the championships. 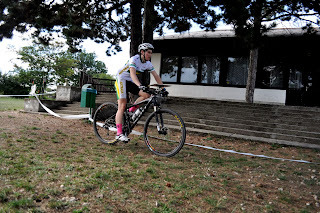 The 2012 World MTB Orienteering Champs start in 10 days in Veszprem, Hungary, and Australian team have been arriving in Europe over recent days. At least, those of us who are not already in Europe. I know our coach (Ian) has been soaking up some of the Olympic atmosphere in London and I (Mel) am writing from Cyprus. The team will be taking part in some practice races over the weekend in Budapest - the location for this years training camp. In the elite category we have a team of three men and myself. Steve Cusworth (Vic) is returning for his 4th WMTBOC - he won all three races at both the Oceania Champs last year and at the trials earlier this year and I'm just crossing my fingers that he avoids the mechanicals of the 2011 World Champs. Oscar Phillips (Tas), who rode in the junior championships last year, has stepped up into the senior category and Ricky Thackeray (WA) is racing at his first championships. In the junior team we have 5 competitors this year - it has been exciting to see that this category has become tightly competitive over recent years. Marc Gluskie (Tas) and Chris Firman (Qld) are coming over to their 3rd world champs, having competed in Portugal and Italy, and Tom Goddard (Tas/SA) is returning for his 2nd world champs. These three shared the wins at the trails in April, each taking out one of the distances. They will be joined by Karl Withers (Qld - the youngest member of our team) and Heath Jamieson (Vic). The team is being coached by Ian Dalton from WA. Ian will also be coaching the team next year and will be taking the opportunity of checking out Estonia at the last round of the 2012 world cup because it will be the location of the 2013 championships. Our managers, Carolyn and Peter Cusworth will also be competing in the concurrently held World Masters MTB Orienteering Championships. The Australians to watch in the Masters categories are: Bruce Paterson (M40), Tamsin Barnes (W40), Peter Cusworth (M50), Richard Robinson (M50), Carolyn Cuswoth (W50) and Carolyn Jackson (W50). We will have an update when the time comes closer to Hungary!